Every so often I see retro gamers post about how they wish a Super Mario Bros. 4 had been made – after all, the series went from Super Mario Bros. 3 to Super Mario World , and from there the series naming just got crazier. But in actuality, Super Mario Bros. 4 does exist – it’s Super Mario World ! I’m sure this is really old news to most people, but it’s probably new news for a few, so let’s take a look! As you can see, it’s called “Super Mario Bros. 4: Super Mario World”. The Japanese text below it also says “Super Mario World”. So if you’ve ever wanted to play SMB4, you probably already have! If you enjoyed this post and know any other fans of Super Mario Bros., I hope you'll share it with them. Sharing is one of the best ways to support Legends of Localization! This makes me wonder why the GBA port of the game was the 2nd Super Mario Advance game. You’d think that they’d keep the numbering consistent; i.e. SMA2 would be SMB2, SMA3 would be SMB3, and SMA4 would be SMW. That would’ve made a lot more sense than SMA1 = SMB2, SMA2 = SMW, and SMA4 = SMB3. What were they thinking?! What were they thinking calling them Super Mario Advance in the first place? Because Super Mario Brothers was already released on the Color as Super Mario Bros DX, and they didn’t want to release it only 2 years after releasing it originally. It is true that I already knew about it, but that didn’t keep me from enjoying this entry 🙂 The Mario Mania Player’s Guide (which I got when I was 10) features a page showing off a bunch of Mario merchandise. Amongst it all is a jigsaw puzzle with the same logo shown off here, and that’s how I first found out – though I didn’t really realize the whole “SMB 4” business was a Japanese thing at the time, not until I got a little older and recognized the Katakana on the puzzle box as Japanese writing. So, by that logic, would “Super Mario World 2: Yoshi’s Island” be “Super Mario Bros. 5”? And the GBA version “Super Mario Advance 3: Super Mario Bros. 5: Super Mario World 2: Yoshi’s Island”? Yup, Wario Land 2 is Super Mario Land 4, Wario Land 3 is Super Mario Land 5, and Wario Land 4 is Super Mario Land 6! Correction: “in JAPAN it’s called ‘Super Mario: Yoshi’s Island'”, so if it were a sequel in Japan, you could use that logic, but it’s only called a sequel to SMW elsewhere. Sorry, you were probably just going for a joke but Mario Title Continuity: Serious Business and all that. 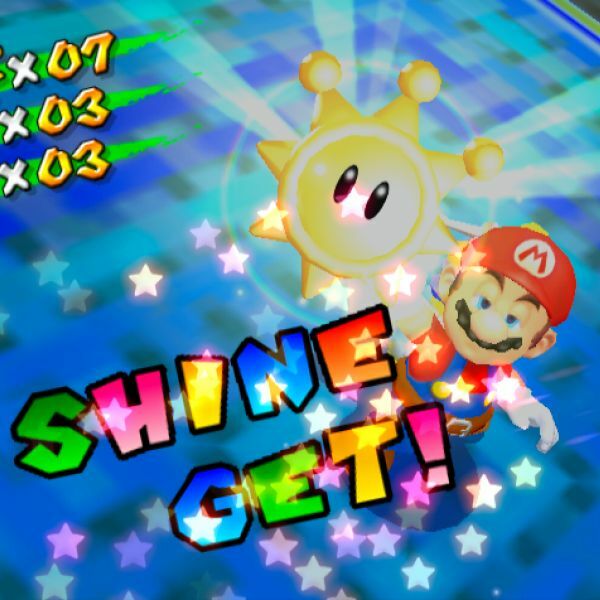 While we’re on the subject of Mario, I’ve just sent Mato screenshots of a glaring error made during the translation of Mario Party Advance, and how it looked in the original Japanese version. I’ve also sent him comparisons of a few other scenes in the game, but I told him they weren’t as important. Anyway, back to the Super Mario World/Super Mario Bros. 4 business. Here’s an interesting Sears holiday commercial which features an early title screen bearing the “Super Mario Bros. 4”. This is old. Like, 20 years old. Just kidding of course! Someone out there will be really pleased. Plus I learned that you like Super Mario World. Which is good because it rules. Some sources (http://www.mariowiki.com/Yoshi – scroll to the bottom where it says “Names in Other Languages”) report that Yoshi’s intended romanization is “Yossy”. The Japanese version of Yoshi’s Island even has “YOSSY’S ISLAND” in its header. How did Nintendo of America mess up when translating Super Mario World, and why did it stick throughout the generations? They changed Toadstool’s name to “Peach” by mistake in Yoshi’s Safari (ヨッシーのロードハンティング/Yossy no Road Hunting), then made her new name official in Super Mario 64, so why did they not take any corrective measure for “Yoshi”/”Yossy”? They changed his name from Yossy to Yoshi in the Japanese games. I don’t know exactly when it happened, but the earliest I can think of is in Mario Kart 64. The Japanese Super Smash Bros. games also spell his name as Yoshi. My guess is that NCL decided to change Yoshi’s official romanization from Yossy to Yoshi since that’s closer to how it’s actually pronounced. You’ve probably already seen the explanation in a more recent post here. So yeah, it’s supposed to be Yoshi. I didn’t know about this at all. Judging from the comments, it looks like most people didn’t know. Very interesting to me! I’ve always thought of Nintendo’s flagship series’ as being region-independent. That’s not to say they aren’t region-checked on their consoles or anything of course, but just that “the Japanese version isn’t the definitive version”. Looking at the comments above about how “Yossy” was changed to the American version, “Yoshi”, I don’t think it was ever a relationship of “leader and follower”, so to speak, but more of a give and take sort of thing. In fact, the same type of thing happened with the original SNES Panel de Pon. When it was localized, it changed into Tetris Attack with Yoshi as the main character because Americans at the time weren’t exactly into the “magical fairy girls” thing. xD The Yoshi version ended up getting re-translated back into Japanese and was released as “Yoshi no Panepon”. That poor series… Tetris Attack, Puzzle League, whatever you wanna call it. It had a lot of naming issues. This would be a splendid time to post a link to my Puzzle League fan site. I really shouldn’t. But you can find it if you click on my username. Lol. Anyway, good read, made me think a lot, obviously. xD Now I feel like working on that website a bit… It needs a lot of work, still. It took me this long to realize that you’ve hidden text in your images and now I’m going to be spending hours looking at each article. To top it all off, the numbering of the “Advance” remakes is all over the place. So we’ve got Super Mario Advance: Super Mario Bros. 2, Super Mario Advance 2: Super Mario World: Super Mario Bros. 4, Super Mario Advance 3: Super Mario World 2: Yoshi’s Island, and Super Mario Advance 4: Super Mario Bros. 3. I’m actually curious about something. At any point, could you do a translation of the Japanese Super Mario Bros. 2 (The Lost Levels)? I don’t think I’ve ever read any official translations of what the story is in that game. Actually, if you had the Nelsonic Super Mario World game watch (used headphones) in 1991, it also says Super Mario Bros 4: Super Mario World on it. They obviously made the watch before Nintendo of America finalized the name by dropping the Super Mario Brothers 4 part. Also, if you look at A Link to the Past, it’s called Legend of Zelda 3: A Link to the Past in Japan, as well as posters from early SNES days that came with the system, they say Zelda 3, so the SNES was initially sequels from the NES- well, in Japan. Nintendo is a Japanese company, so the parent is the one you should go with in names, Nintendo of America is a subsidiary, so don’t go by what they call things. NOA’s arrogance and idiocracy. The same thinking when changing the Super Famicom body to the more unattractive SNES body. NOA wanted to rebrand Super Mario World as a new game at the time of the SNES launch in August 91 to compete with Sega for what we would later become a console war and their new game Sonic the Hedgehog which was released June/July of 1991. I actually would call Nintendo Customer Support begging them to keep the Super Mario Bros. 4 subtitle. Even at the Tender age of 11, continuity was important to me. Finally they got fed up with me and one operator flatly said, look kid, it’s our game, we can call it what we want!. The Super Mario Advance series was probably produced in order of demand, or order of desire from Nintendo. It’s very interesting that the “Super Mario Bros. 4” logo in-game was intended for the later US version, but not in the original Japanese one. World’s case is special because it actually plays like a “Super Mario Bros. 4”. Maybe you could make case for Yoshi’s Island, but Japan really didn’t; that game became a spinoff. Wario Land, obviously, got spun off into its own series. The three Land games are all pretty weird, and pretty different from each other and from other Mario games. ALttP was never referred to as any permutation of “Zelda III”; there was a hoax about a “The Legend of Zelda III” prototype, and that’s it. Actually, NOA did initially have every intention of translating Zelda no Densetsu: Triforce of the Gods simply to Zelda III. It is stated on early posters packaged with the SNES from August to December of 1991, all of the operators at Nintendo Customer Support confirmed the title Zelda III at the time as well. A SNES poster of future SNES games in volume 26 of Nintendo Power included the Zelda III title. The title Zelda 3: A Link To the Past was used in and on the cover of the EGM December 1991 issue. The Game was not officially changed into The Legend of Zelda A Link To The Past until January 1992. The real question is what would have happened with the time line if NOA decided to stick with the Zelda III title. Would they have inserted the comic book storyline running in Nintendo Power shortly after the release of A Link To The Past or simply changed the numbers by regions like Square did with Final Fantasy?